February 23, 1937: Judy was added as a series regular on the “Jack Oakie’s College” radio show broadcast by the CBS Radio Network our of Los Angeles, California. 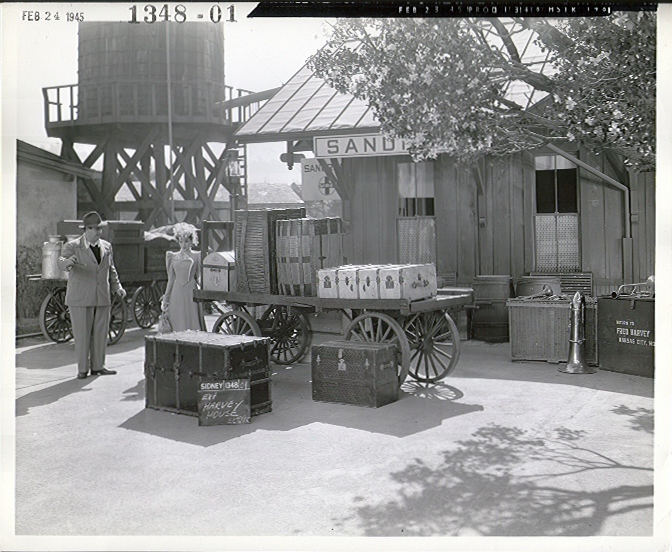 The show was hosted by movie star and comedian Jack Oakie. 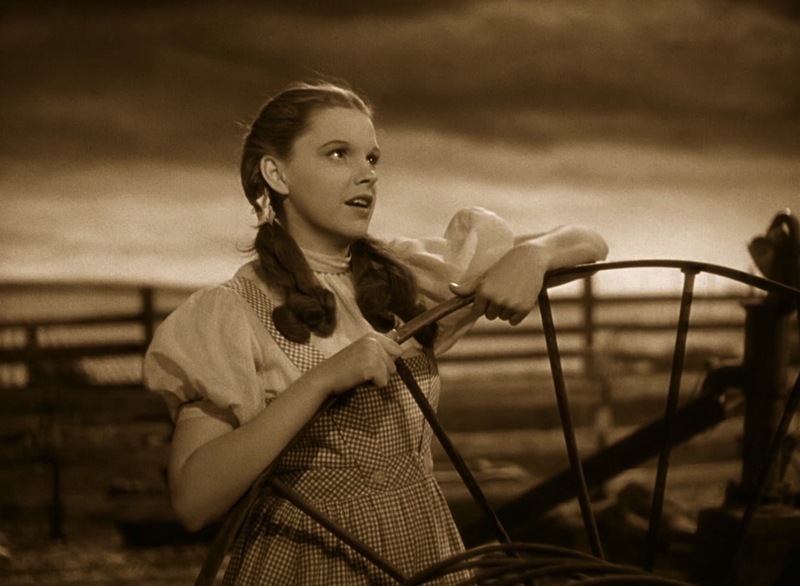 Judy was added after just one appearance (on January 5, 1937) which is a reflection on her talent and the network’s faith in it. Judy premiered “(Dear Mr. Gable) You Made Me Love You” to the nation on this broadcast. Unfortunately, no recording is known to exist. Oakie recorded most, if not all, of the shows and when he died the shows were left to his widow who, in the early 2000s, was rumored to have been in negotiations with a record label to release them on CD but nothing came of it probably because of her death in 2003. It’s unknown what has happened to the show recordings but luckily individual records of separate performances made at the time, including some of Judy’s, have found their way into the hands of collectors like John Newton who has so graciously shared them with us. Check out The Judy Room YouTube Channel’s “John Newton” Playlist for Garland treasures from this era, and also check out “Judy Garland Lost Tracks 2 – 1936-1967” which has more wonderful radio performances including those on the playlist, restored and remastered. 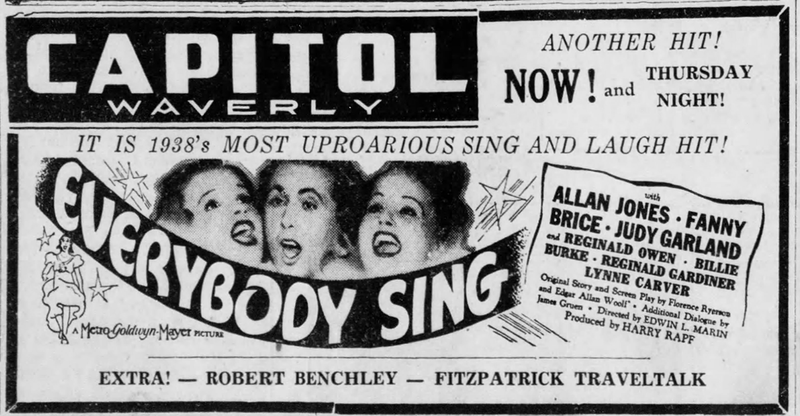 February 23, 1938: More ads for Everybody Sing. February 23, 1942: Judy returned to MGM after being out two days, for more dance rehearsals with Gene Kelly for For Me And My Gal. 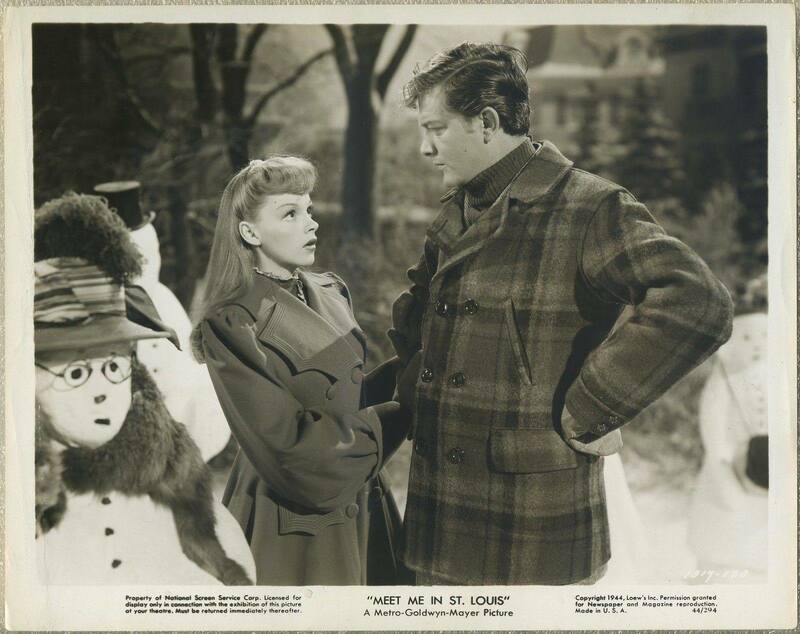 Time called: 1 p.m; dismissed: 4:30 p.m.
February 23, 1944: Meet Me In St. Louis filming consisted of scenes on the “Exterior Backyard – Winter” set. Time called: 10 a.m.; arrived on set 10:35 a.m.; dismissed: 6 p.m. 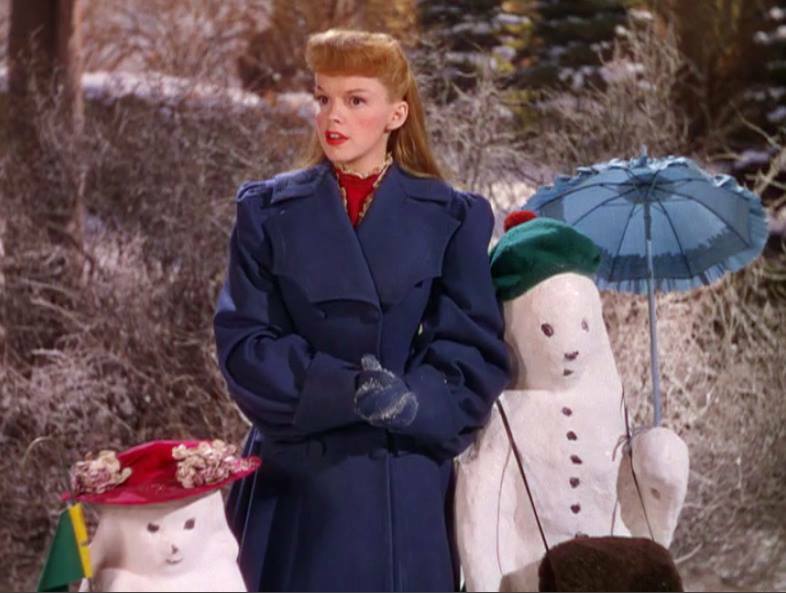 The wonderful outfit that Judy wears under the blue coat is never seen in the final film aside from the bits that peek out as seen in the screenshots above. It’s a shame, it’s a lovely costume. 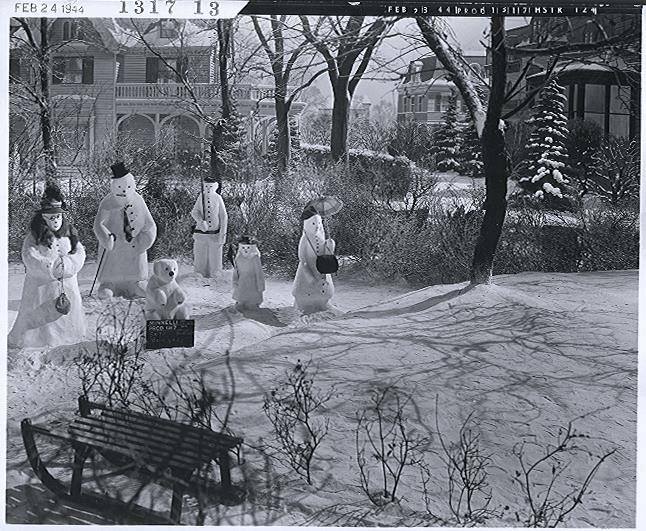 February 23, 1945: Above left is a set still from The Harvey Girls with Judy and director George Sidney on MGM’s “Western Street” on Backlot #3, dressed up as the fictional town of Sandrock, New Mexico. 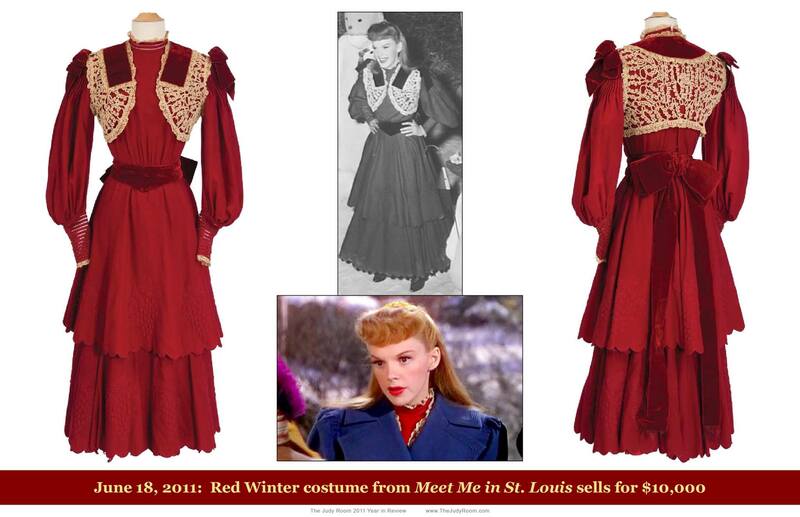 Judy’s in costume for the ‘On The Atchison, Topeka, and the Santa Fe” number and surrounding scenes. Note that the photo is stamped February 24, 1945, but the actual photo is dated on this date. 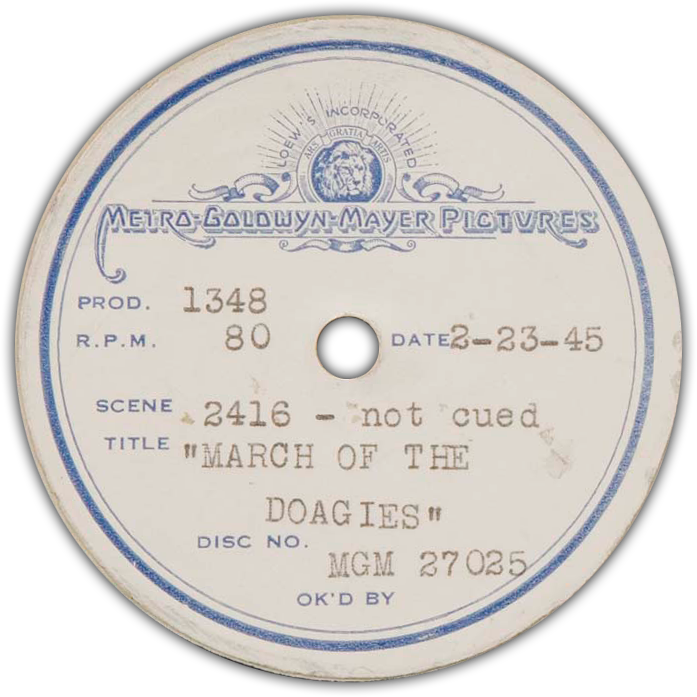 Above right in one of the playback discs for the “March of the Doagies” number, dated on this date. The pre-recording was made on February 17, 1945. 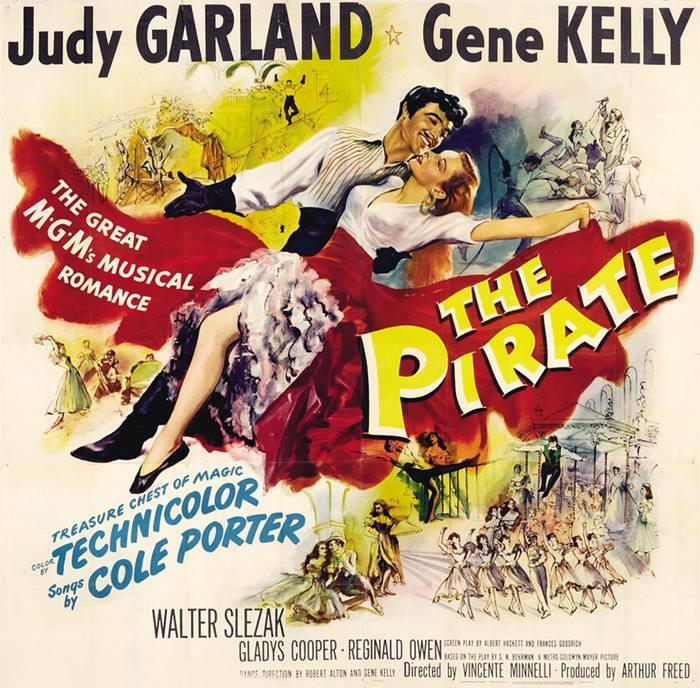 February 23, 1948: The Pirate previewed at Loew’s 72nd Street Theater in New York City. 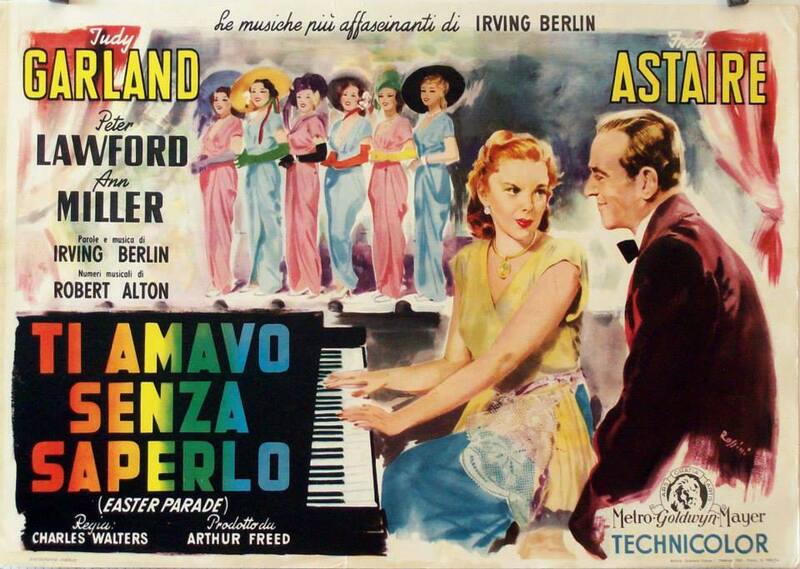 The film would not be released until June 11, 1948, after more editing was completed. On this same day, Judy was at MGM doing “looping” work for Easter Parade, which was dubbing lines for scenes previously filmed. She was due on the set at 1 p.m.; arrived 1:50 p.m.; dismissed: 3:35 p.m.
February 23, 1961: Judy’s new one-woman show played at the City Auditorium, Houston, Texas. The photo below was also taken on this date. February 23, 1962: Judy appeared on the cover of “TV Magazine” which covered the week of February 23 through March 2, 1962. Judy’s “The Judy Garland Show” with guests Frank Sinatra and Dean Martin premiered that week on February 25th to great success. February 23, 1964: “Episode Twenty-Two” of “The Judy Garland Show” aired on CBS-TV. It had been taped on February 14, 1964, at CBS Television City, Stage 43, in Hollywood, California. Judy’s guest was Jack Jones. 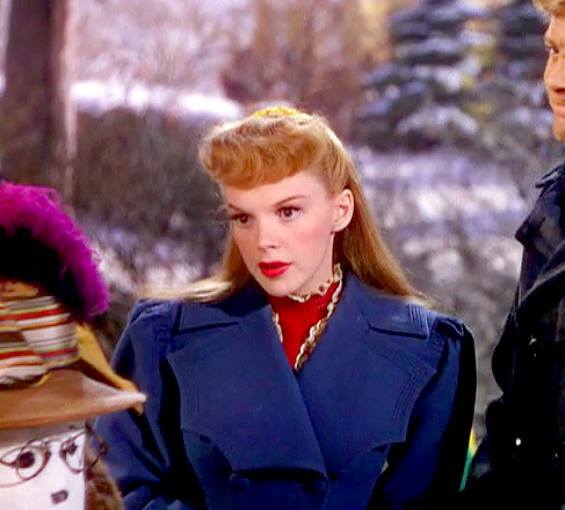 Jones was the son of Allan Jones, who co-starred with Judy almost 30 years earlier in Everybody Sing. Judy sang an opening “mini-concert” that included: “Swanee”; “Almost Like Being In Love”/”This Can’t Be Love”; “Just In Time”; “A Foggy Day’; “If Love Were All”; “Just You, Just Me”; and “Last Night When We Were Young.” Judy also sang her “Judy at the Palace” medley. 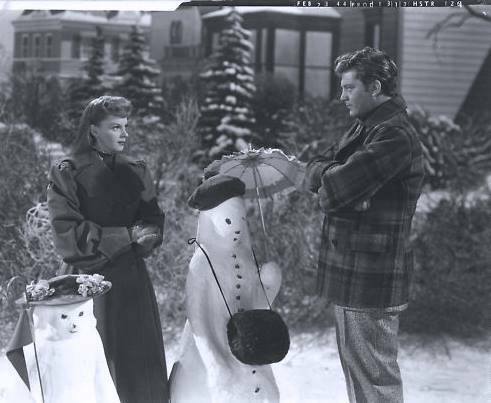 Judy and Jack sang a “Jeanette McDonald-Nelson Eddy” medley. For the “Born In A Trunk” segment, Judy sang “When The Sun Comes Out.” The last “Ken Murray and his Hollywood Home Movies” segment that was taped on January 31st was inserted into the episode. February 23, 1964: Videotaping of “Episode Twenty-Four” of “The Judy Garland Show” at CBS Television City, Stage 43, Hollywood, California. This taping was just two days after the previous episode’s taping which was unusual and made for a busy week for Judy! Judy’s guest for this “Semi-Concert” was Vic Damone. Judy sang: “Lucky Day”; “Sweet Daner”; “Do I Love You?”; “I Love You”; “When Your Lover Has Gone”; “Down With Love”; “Old Devil Moon”; “Never Will I Marry”; “Any Place I Hang My Hat Is Home”; “Chicago”; and a “Kismet Medley” with Damone. For the “Born In A Trunk” spot, Judy sang “Lost In The Stars.” Outtakes of the “Kismet Medley” and “Lost In The Stars” survive and were released on the DVD of the show. Photo above: A rare shot of Judy and husband Sid Luft along with Vic Damone in late February 1963 at the Venetian Room of the Fairmont Hotel in San Francisco, California. February 23, 1966: Judy was in rehearsals for her next TV appearance (on “The Sammy Davis, Jr. Show”). At this time she and Mark Herron attended the premiere of Tennesee Williams’ Broadway show “Slapstick Tragedy.” This photo was taken of Judy with Williams. That episode of Judy’s TV series (where she’s clad in that awful “zebra-like” gown) is among the most powerful of those straight concert shows. “Come Rain or Come Shine”, “Last Night When We Were Young”, “Almost Like Being in Love”, “Palace Medley…” all sensational. I hope the evil, cruel, dimwitted James Aubrey is resting in a very WARM place.